I can't wait for this week! 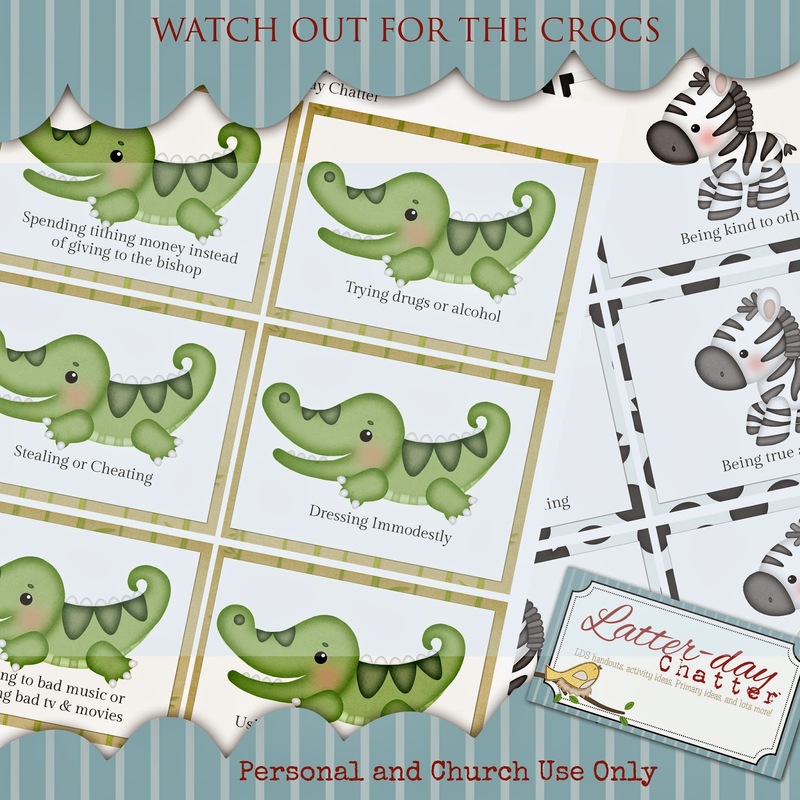 As soon as I had seen the theme for this week, I immediately was taken to Elder Packer's talk about spiritual crocodiles, read the talk HERE. All you need for this lesson are the printouts and sticky darts/nerf gun. My Primary kids are going to LOVE this even those older boys!